Looking for ideas for your next birthday party in NYC? Want to stop at all the best bars? It's your birthday and there's no better way to celebrate your special day than with all your friends on a party trolley. You could pub crawl to the best birthday bars in NYC or just stay on the trolley and have it be your BYOB mobile party lounge. This is hands down the best way to celebrate your birthday in New York City! Looking for other things to do on the trolley? Go to a cocktail bar for craft cocktails and live music. Stop at an ice cream shop and for a photo on the Hudson River. Gather your closest friends for roller disco at Dreamland Roller. Celebrate your birthday by taking your personal trolley to the Royal Palms Shuffleboard Club followed by a beer garden in east village and a rooftop bar in the upper east side. The options are endless. 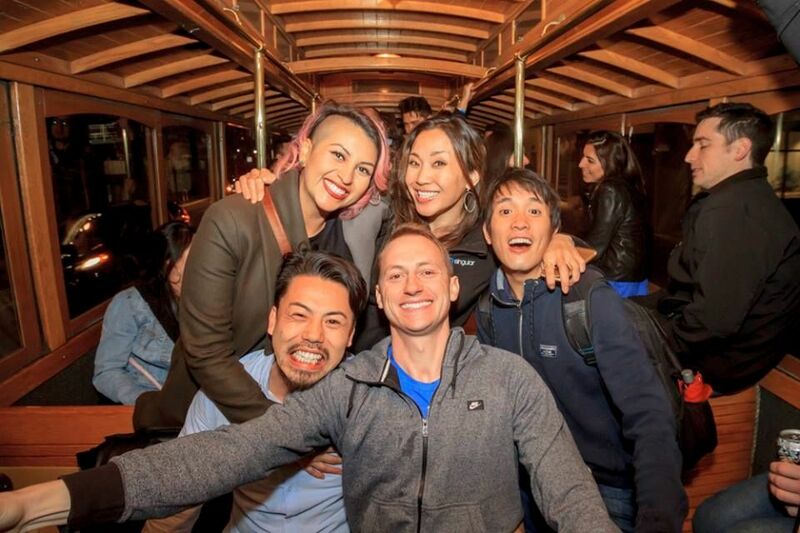 Dance, drink (our trolleys are BYOB), and go wherever you want onboard your own personal trolley! Make it a birthday you won’t forget! Hop-Off-And-On Service: hop-off and hop-on at any destinations within the New York City metro area. You pick your own route. Friendly, professional driver: Our drivers are the best. They are punctual, fun, and will chauffeur your party to wherever you like.